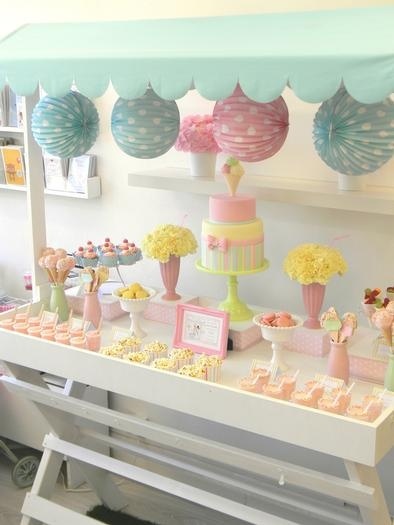 Throwing a party for a little princess? 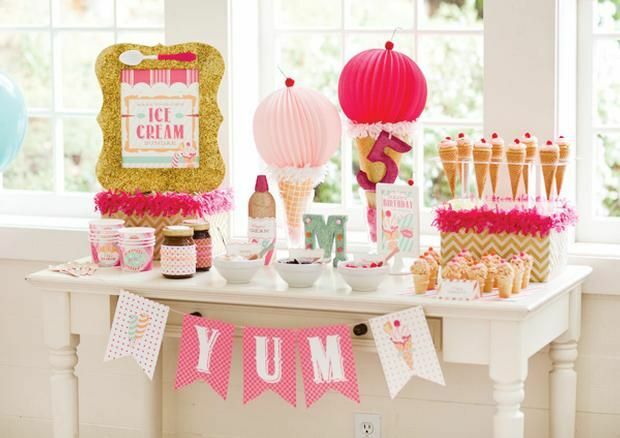 Make it a ”Ice Cream Shoppe” theme party! We gathered some cute and fun ideas for you! 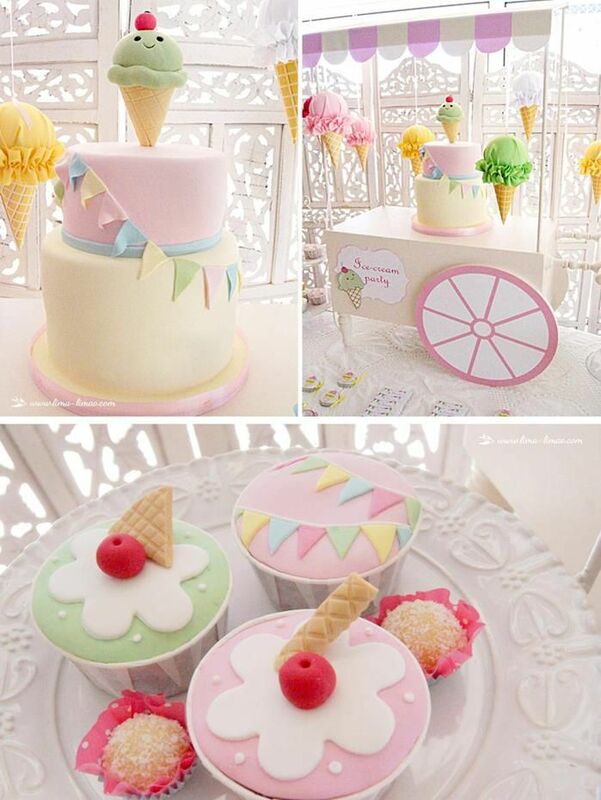 Create customized ice cream stands with sweets and ice cream treats!! 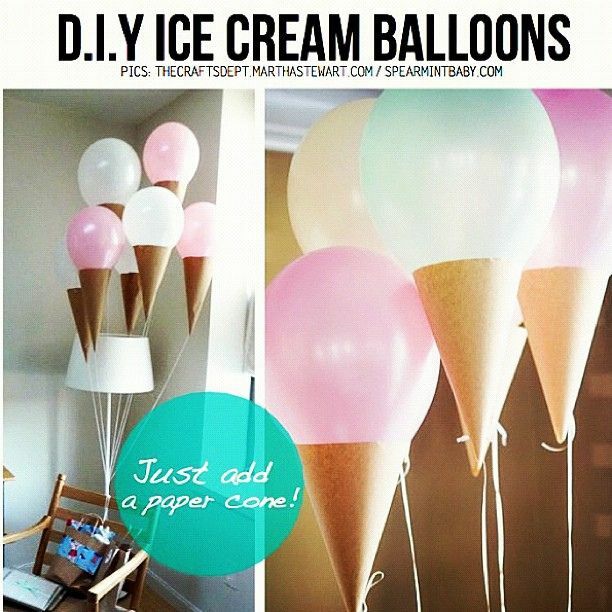 DIY ice cream balloons are easy to make and are fun décor! 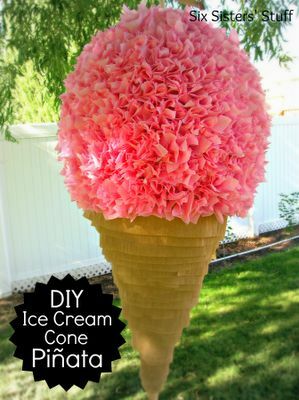 Ice cream cone piñata is a cute way to incorporate the theme and fun for the kids!! 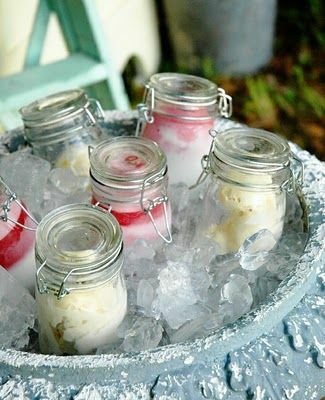 Place mini mason jars in a bucket of ice filled with different flavors of your favorite ice cream.